This Strive kitchen sink offers professional style with easy-to-clean curved corners. Made of thick, premium quality 16-gauge stainless steel, the medium-sized single bowl allows you to soak and clean large cookware and bakeware. Strive features a sound-absorption system that significantly reduces disposal and dishwashing noise. This sink includes a combination dishcloth bar and utility shelf to organize dishcloths, scrubbers, and sponges, and a bottom sink rack to help prevent scratches. 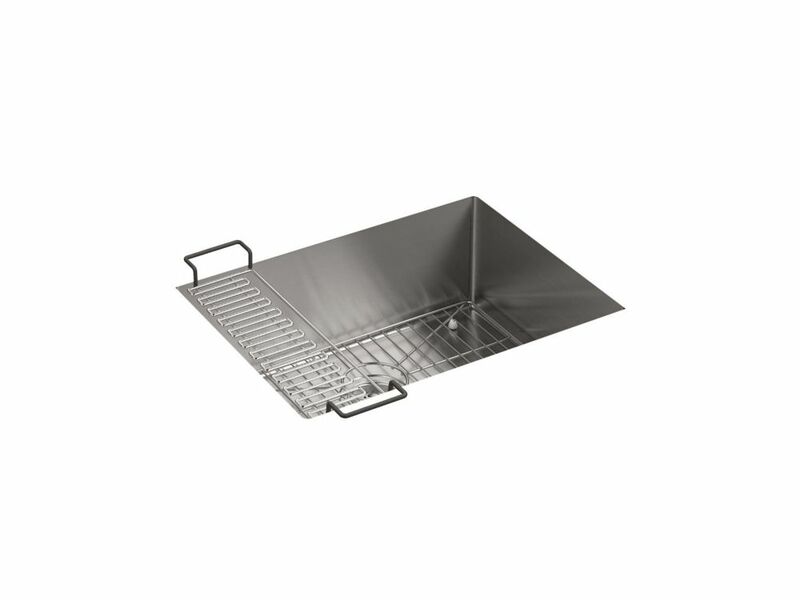 Strive Undermount Stainless Steel 18-1/4X24X9-5/16 0-Hole Single Bowl Kitchen Sink This Strive kitchen sink offers professional style with easy-to-clean curved corners. Made of thick, premium quality 16-gauge stainless steel, the medium-sized single bowl allows you to soak and clean large cookware and bakeware. Strive features a sound-absorption system that significantly reduces disposal and dishwashing noise. This sink includes a combination dishcloth bar and utility shelf to organize dishcloths, scrubbers, and sponges, and a bottom sink rack to help prevent scratches.